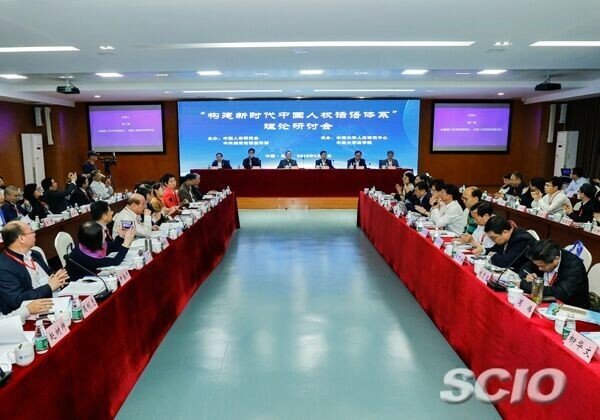 A seminar on the creation of China's human rights discourse in the new era was held in Changsha, Hunan province, on April 12. Guo Weimin, vice minister of the State Council Information Office of China, and Qiangba Puncog, head of the China Society for Human Rights Studies, attended the seminar and delivered speeches. Speakers at the seminar said that China should better explain its work in protecting human rights by upholding Xi Jinping Thought on Socialism with Chinese Characteristics for a New Era. To develop China's own path in protecting human rights and expressing its views on related issues, the policies China has adopted must be centered on the people, the speakers said. Qiangba Puncog said at the seminar that China has made great strides in having more say on human rights issues, which laid a solid foundation for the creation of the human rights discourse in the new era. He also mentioned that China needs to express its views on human rights issues more systematically and presents it to the world, in a bid to actively respond to the concerns of international community and enhance its power of discourse.